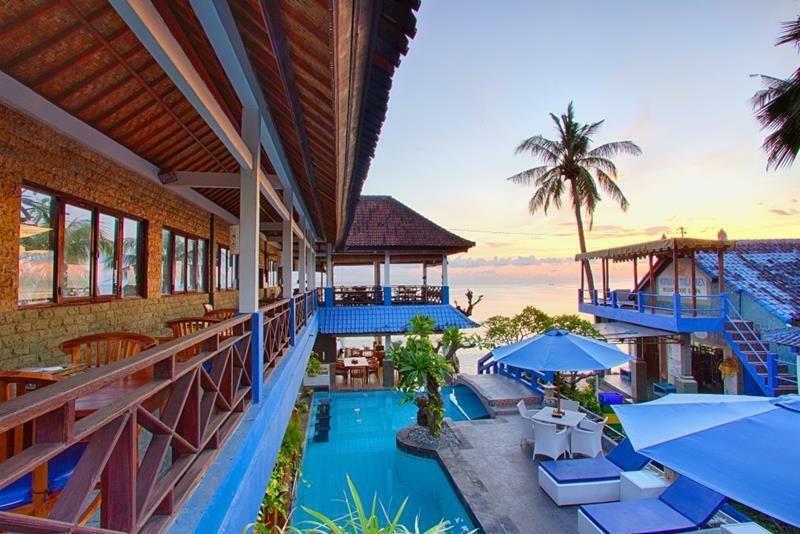 Staying at Matahari Tulamben Dive Resort & Spa in Bali is always the right option, no matter your needs. You can choose from budget rooms standard until family bungalow. Depend of your budget. All included nice breakfast with fresh fruit juice, tea or coffee and toast/eggs any style/jam or nasi goreng/bihun goreng or pancake or jaffle. 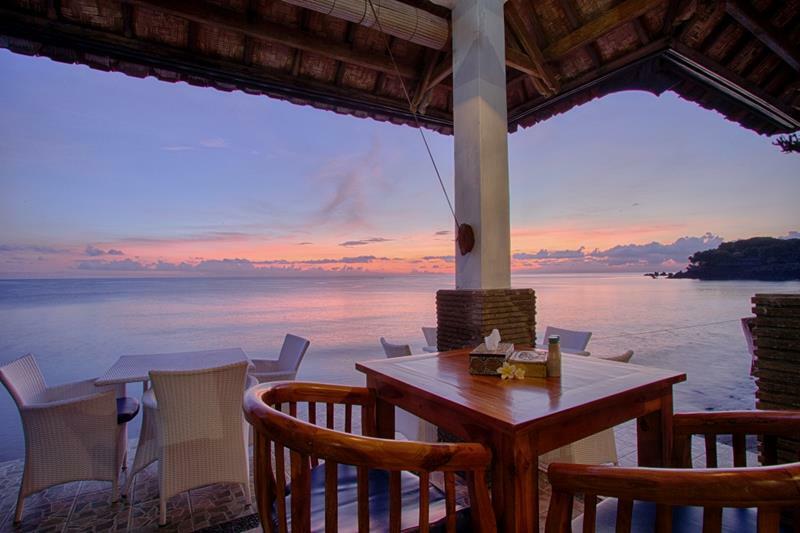 Enjoy your breakfast in the beach restaurant and watch the sea. All accommodations have ac/hot water/safe box. Except of the standard rooms, which have no safebox. 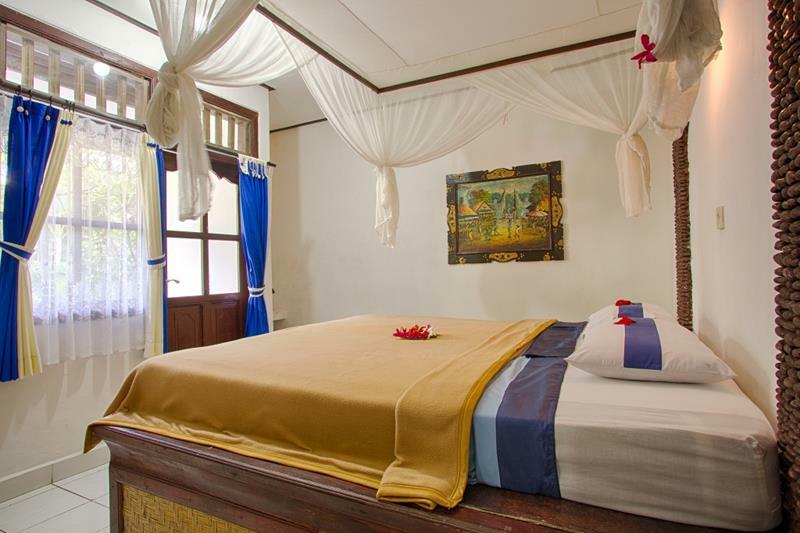 The rooms range from RP 280.000 to RP 980.000/night include breakfast for one or two person. Each person more in the room will be plus RP 150.000 include breakfast. 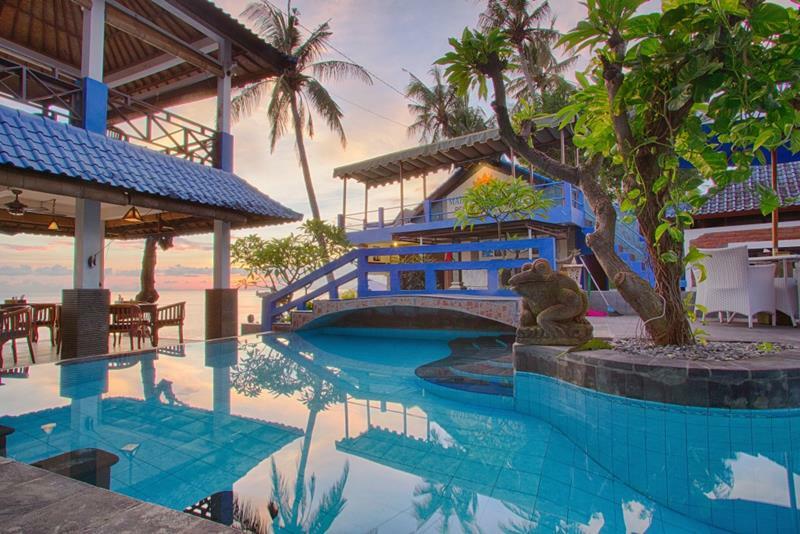 5 bungalows with double or twin beds,safe box,refrigerator. 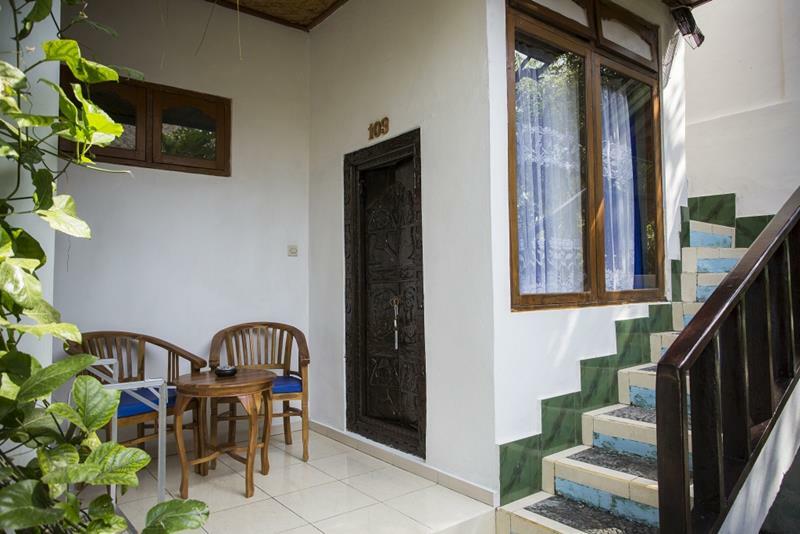 12 deluxe room with double or twin beds, safe box,refrigerator. 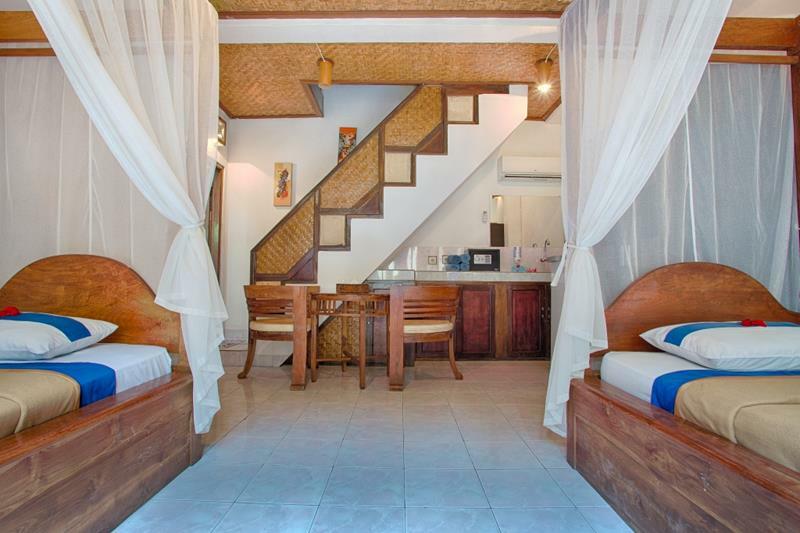 1 triple deluxe room with 3 beds (2 beds can be double plus 1 single bed), safe box, refrigerator. 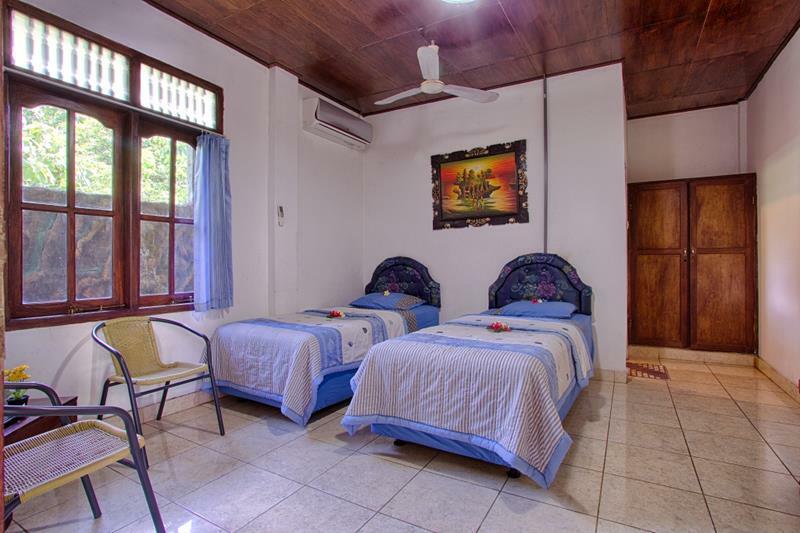 6 superior rooms; 3 with double and 3 with twin beds, safe box. 3 standard rooms (basic) with twin beds, ac/hot water. In the whole area you will have FREE WiFi. You find different places for relaxing. 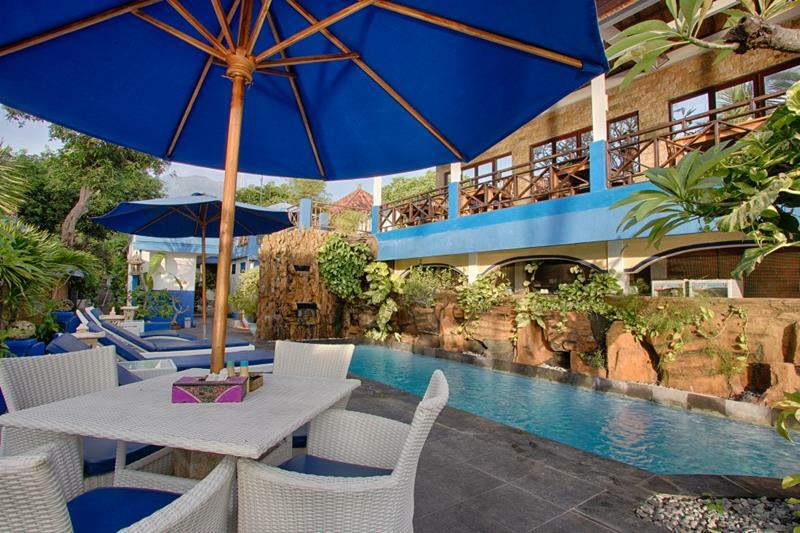 Free loungers are waiting for you at the beach, beside the pool, in the garden or at the sun deck from where you also have an amazing view to the Mount Agung and the sea. Or simple use the hammocks in the garden. Balinese people are in love with kids. Therefore Suci offers free babysitting during your dives. Means your kids are welcome. Transfers are also available against a fee. 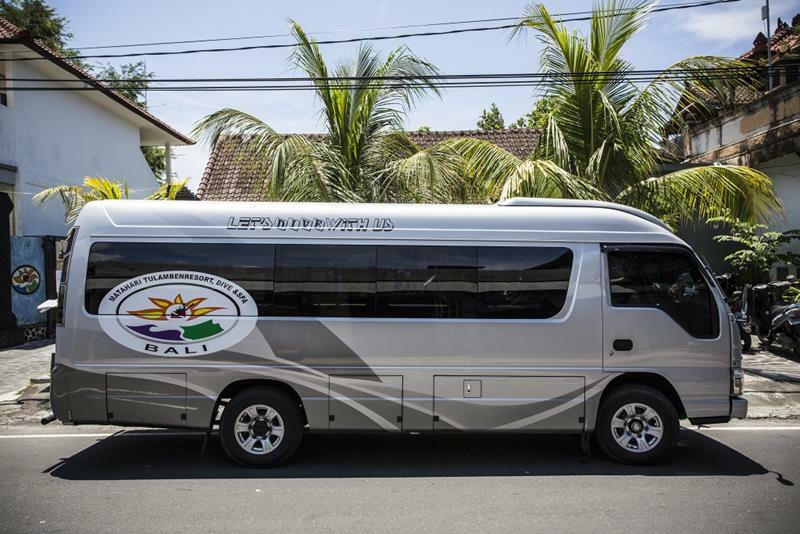 From Ngurah Rai Airport and the south of Bali the transfer time is round about 2,5 hours. If you arrive with your own car, free parking available. 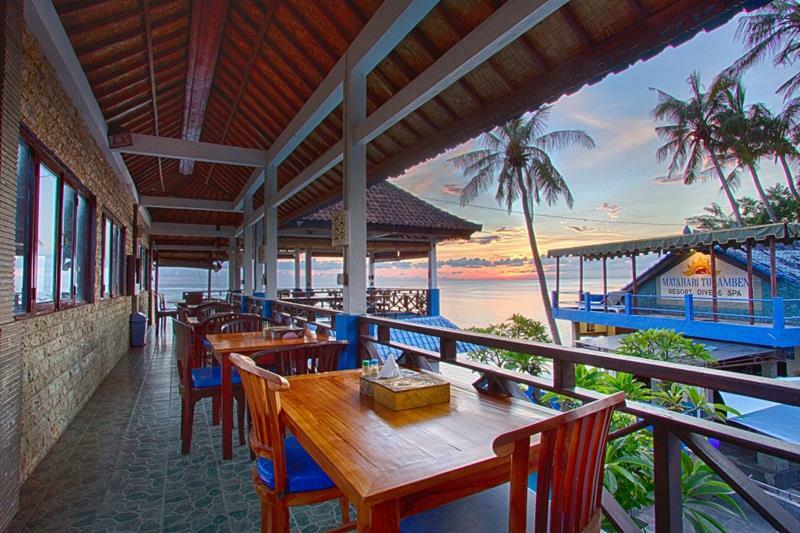 The Restaurant is directly managed by Suci. She has long years experience in cooking and she always control the quality of the food . 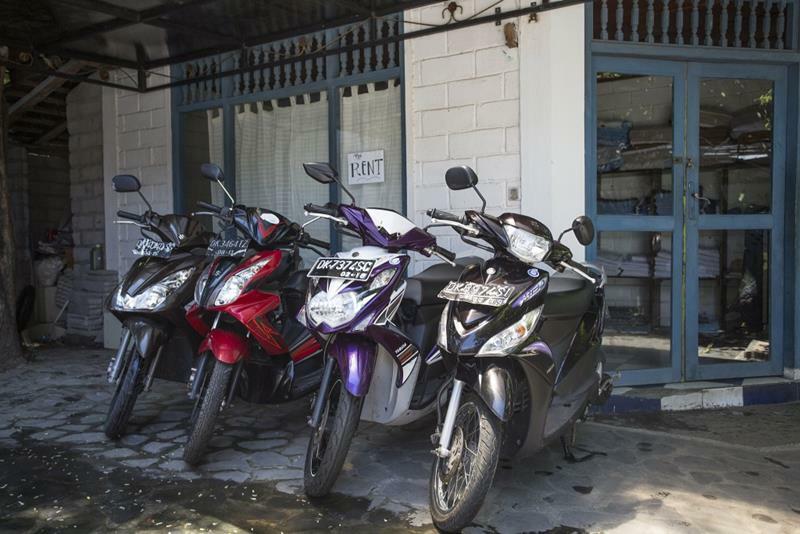 The friendly staff prepares food ranging from local balinese delicacies to international classics. Speciality: authentic Thai food. 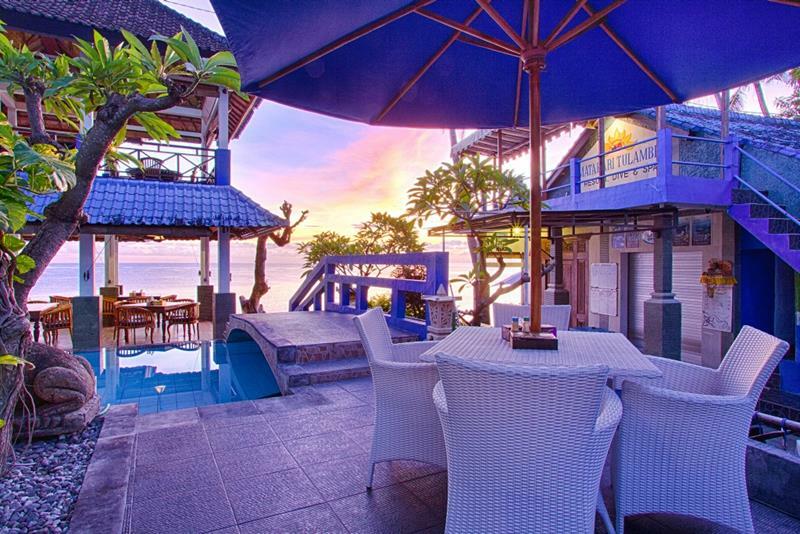 The restaurant is flanked by the swimming pool and the sea. 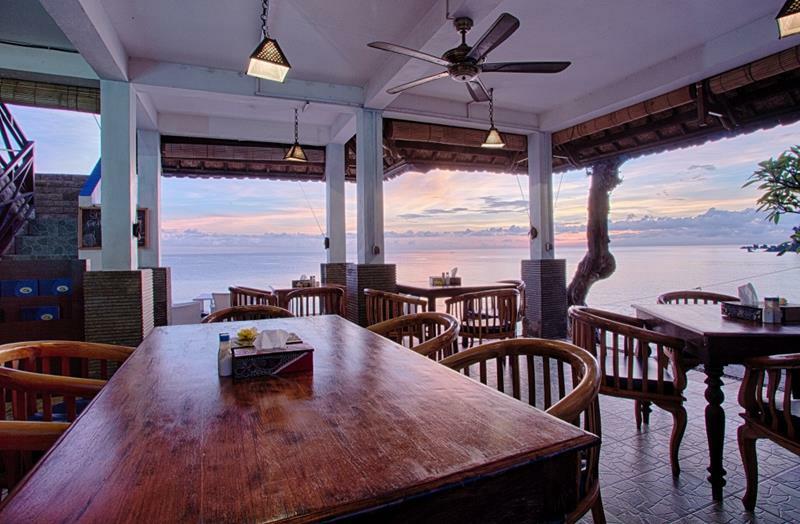 While having breakfast, you can watch the sun rise over the mountains of Lombok on the eastern side of the Lombok Strait. And during dinner watch the moonlight on the ocean. For dinner try Balinese specialties like "Suckling pig" and spicy "Duck Tutu" which can be prepared with one day’s notice, just ask the staff! Or try the fresh fishes (like Mahi Mahi, Tuna or Barracuda) which they get always direct from the fisherman. 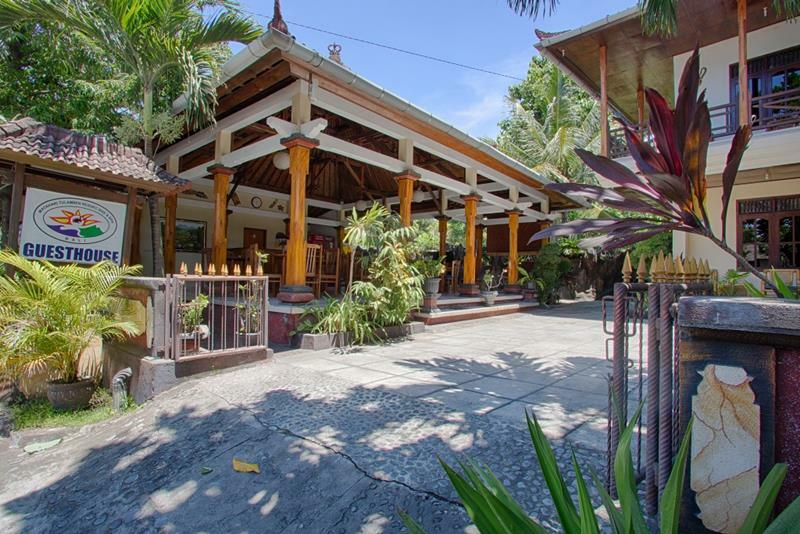 Opposite of the hotel (on the other side of the road) is the Guesthouse of Matahari Tulamben Resort with 6 superior rooms (4 with double and 2 with twin beds). All rooms with aircon/hot water/ safebox and a sitting place in front. 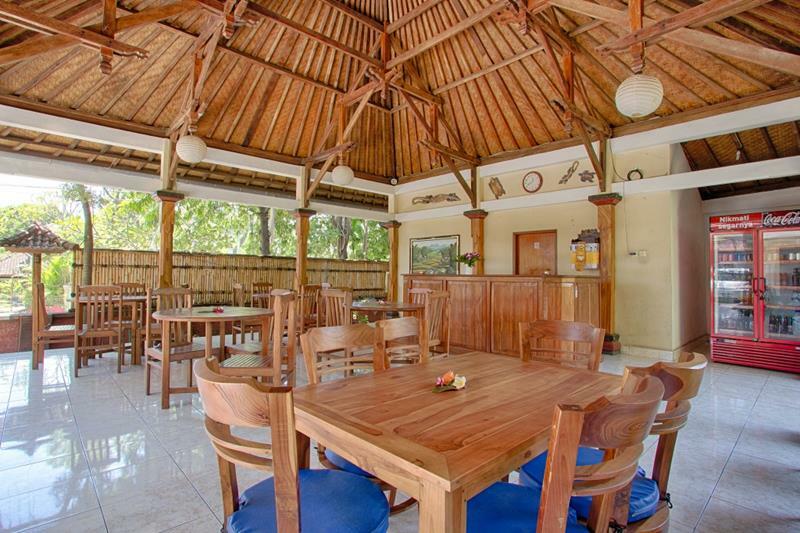 The guests can use all facilities of the Resort and will enjoy the meals in the seaside restaurant. 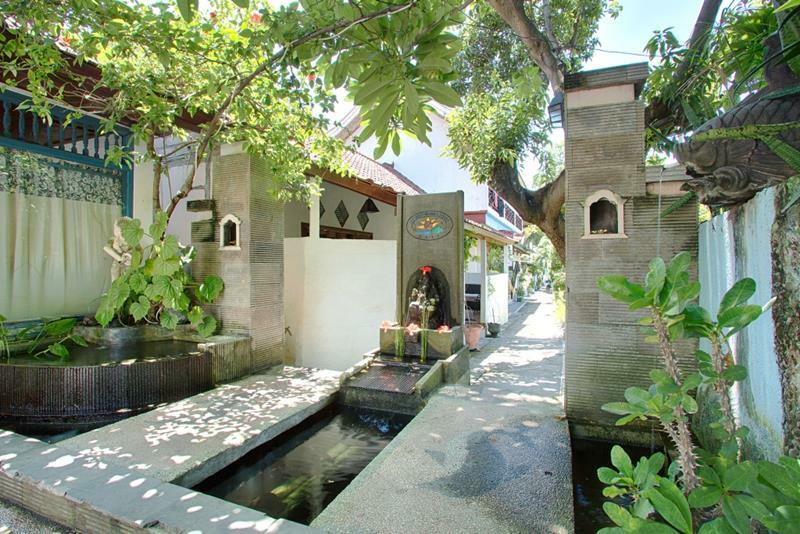 MTT is a cozy, quiet place only 2-3 minutes walk away from the Resort. We offer 7 spacious deluxe rooms for max. 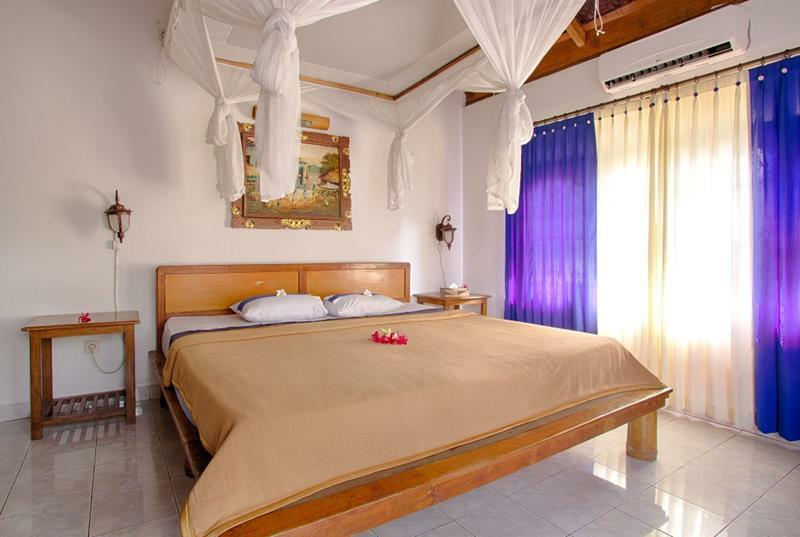 15 persons (6x double/twin beds and 1x3 beds) with aircon, saftebox, refrigerator, water kettle. Nice swimming pool and view to Mount Agung. Great place for groups, families and friends. Restaurant is onside. See photos in our Photogallery. If you dive with us you can use all the facilities of the Resort and you can combine our SPECIAL OFFERS with MTT. Also all the meals are possible to take in the Resort.